Union 2441 Clawbolt Oval Cylinder Case is a deadlock suitable for timber sliding doors. 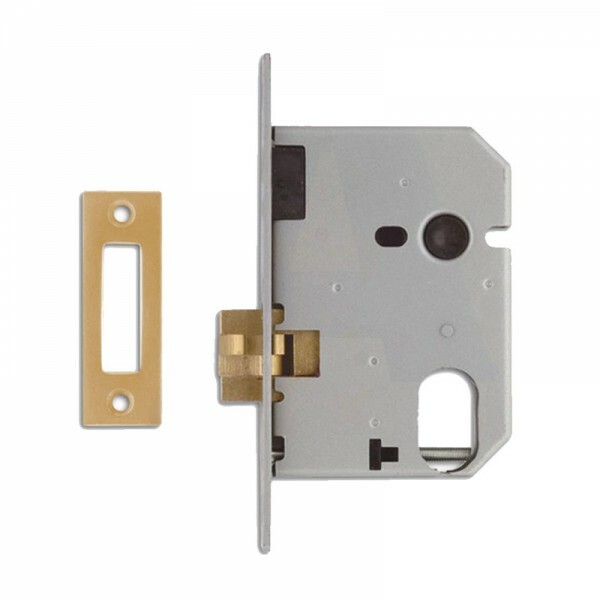 It is locked or unlocked by oval profile single cylinder, oval double or oval cylinder & turn. Enamelled Silver case finish and Brass or Satin Chrome forend finish options.